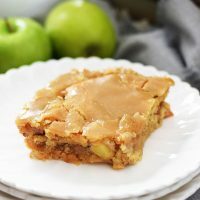 Caramel Apple Dump Cake is the perfect amount of gooey caramel and scrumptious apple filling covered with a soft buttery crunch topping. This is a recipe that is easy enough to make for a family meal and decadent enough to serve to company! It’s completely versatile too! 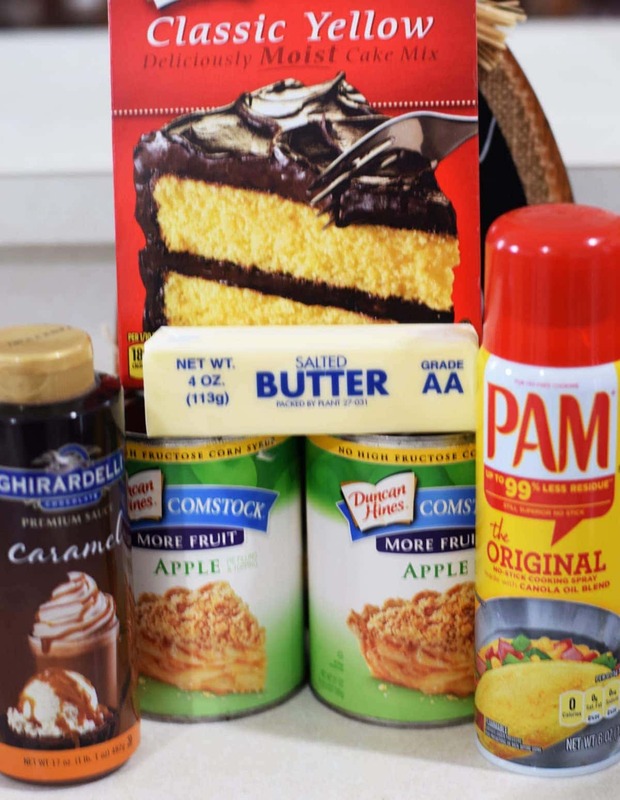 You can omit the caramel if you like and use any type of pie filling. Are you a big nut fan?? Well throw in some pecans, walnuts or slivered almonds on top with the cake mix for a little extra crunch! Divine!!! The addition of the caramel says hello there Autumn, let me take a bite!! 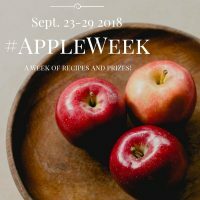 It’s an apple time of year after all. Let’s get this celebrations started with this beautiful dessert! 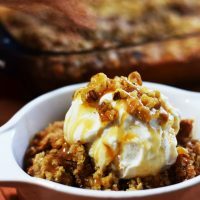 Add a simple scoop of vanilla bean ice cream or heck just top this baby with some butter pecan for a little extra yum!! Whatever tickles your fancy and makes that sweet tooth happy will be perfect! Bake in the Slow Cooker for a few hours or in the Oven for about an hour! In a 9 x 13 Baking Dish or in oval slow cooker spray with cooking spray. Spoon cans of apple pie filling in bottom of dish. Pour caramel evenly on top of pie filling. Sprinkle cake mix on top. 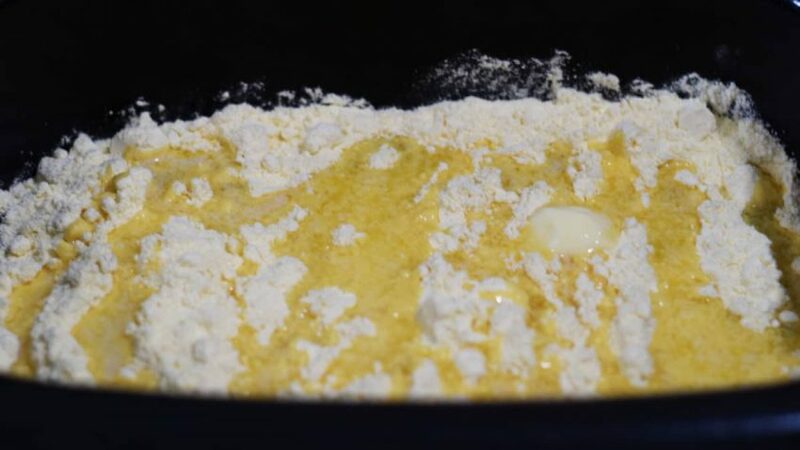 Drizzle melted butter on top of cake mix. You can also cut butter into slices and top this way also. Bake in 350 degree oven for 45 to 60 minutes. Or cook in slow cooker on high for 2 hours or low for 4 hours. Or bake in slow cooker high for 2 hours or low for 4 hours. Serve with a scoop of vanilla or your favorite ice cream! 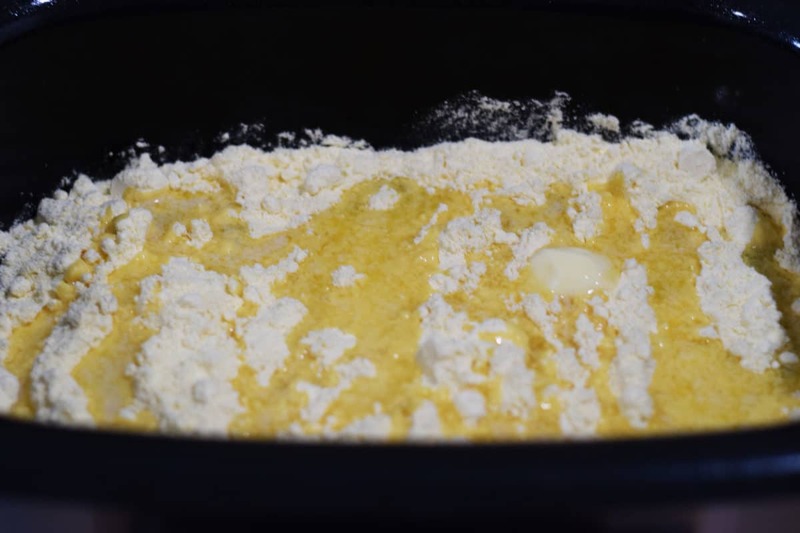 You can cut this recipe to 1 stick of butter if you would like to cut some of the fat in the recipe! Let me just say, I made this for our church Harvest Party and I won 1st place in the desert contest! It’s simple and delicious! Made this on Monday morning to take to work. It was a hit!!! 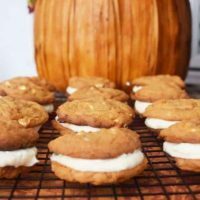 Thanks for an easy recipe that is sure to please! I am so happy that you loved it! It really is so easy and delicious! Have a wonderful day Audrey <3! 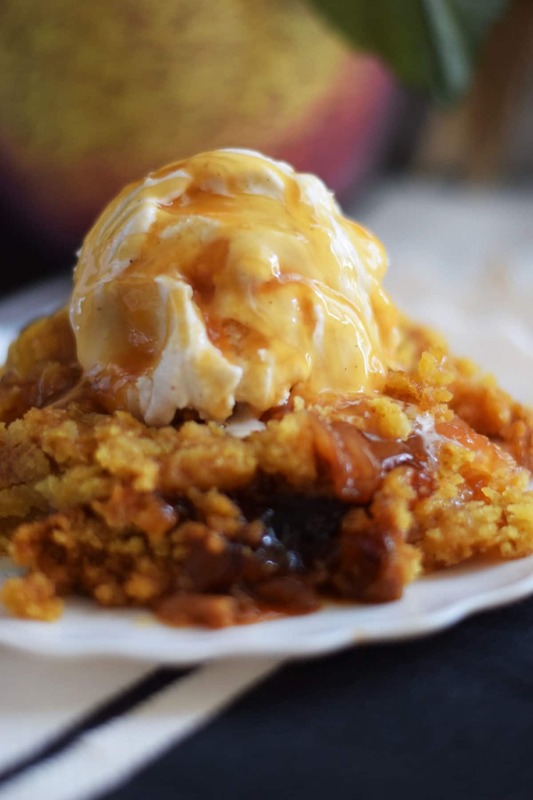 I only have the Caramel Apple Pie Filling…. so if I don’t use the caramel sauce, what would I replace it with ?? Thank you so much for the help…. I just can’t wait to taste this !! Have a wonderful holiday !! I LOVE a dump cake! I’ve never made one with apples though but I’m going to make this one! Pinned it–thanks for linking up! Thank you Laura! I hope you enjoy this one! It’s extra decadent. I am so glad you stopped by. Please come back and let me know how it turns out for you! I am ready for some now! Looks great! YUM! 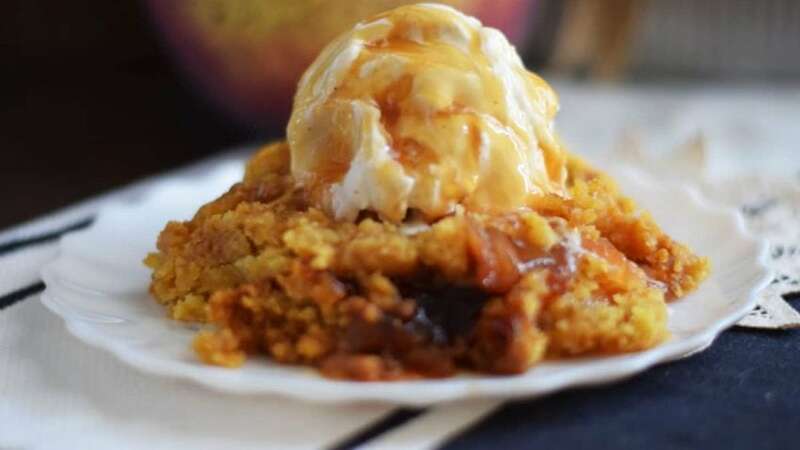 That is the perfect Fall dessert! Pinned. Thank you Susan! It’s such an easy one to put together too! I am so glad you stopped by! I hope you come back soon! Looking at this cake makes me happy! I can’t wait to try the recipe. Looks delicious. 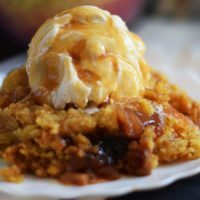 I used to make a dump cake with cherry pie filling and crushed pineapple with toasted coconut. It was a hit at parties. Thank you Joanne! 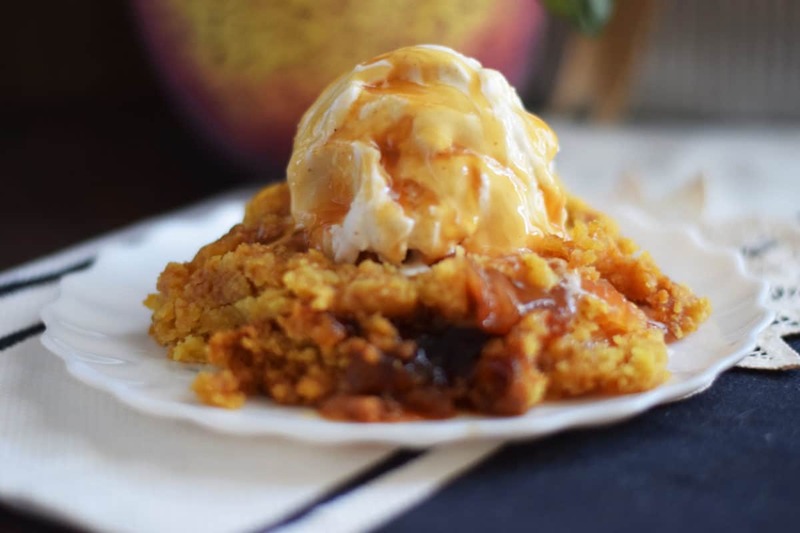 I love a dump cake because you can change it up and create something new! Cherry and pineapple sound divine! Oh that toasted coconut takes it over the top! Yum! I can’t wait to try that! !